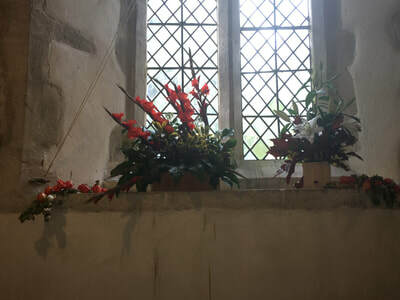 The St Nicholas Church Project Funding Group have put together a programme of events over the coming year to raise funds for the work we are doing to repair and renovate the building and allow the church to be used for more community and social events, keeping it as an important part of the village for the next generation. 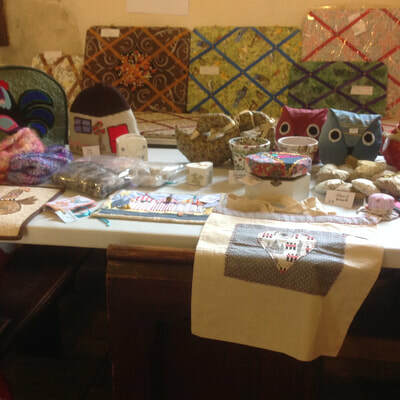 Please make note of the dates and support our work by coming along to as many of them as you can. All take place in the church unless otherwise indicated. For more information or to get involved contact Margaret Hutchings (hutchingsbestnet@gmail.com). 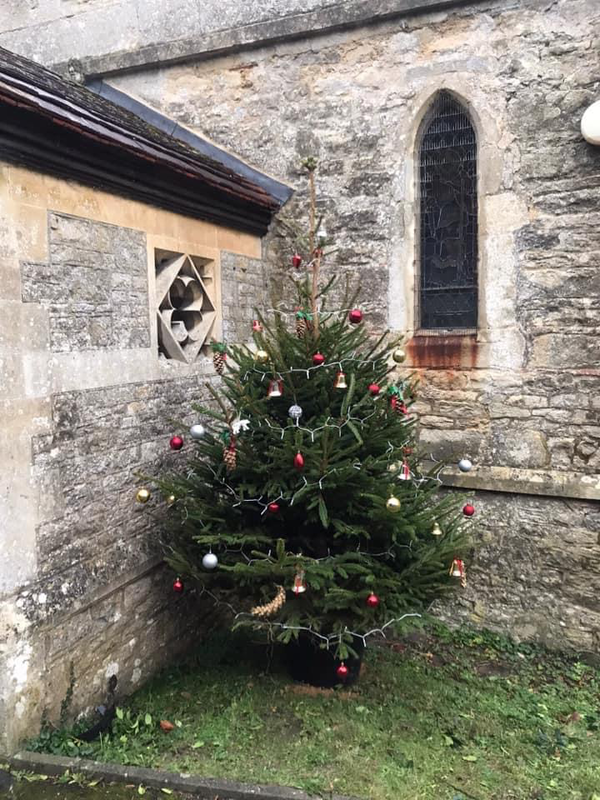 St Nicholas Church Parochial Church Council wish to thank all who have supported our village church during 2018 and in particular during December, which has been a busy month leading up to Christmas with stalls at The Pantry, wreath-making workshop, carol singing around the village, the traditional Carol Service and our Christmas Eve Communion Service. Many of you help with cleaning and flowers and this is much appreciated. 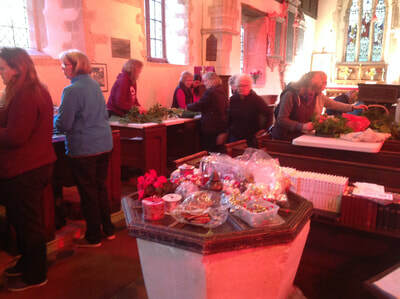 We are however, always pleased to have more volunteers and if you would like to join in please do let us know. 100 years since the end of World War I and our traditional Carol Service and Christmas Eve Communion Service. 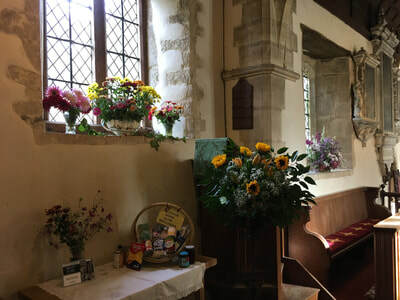 Over the next year we intend to safely remove the bee colony in the church roof. This is necessary as the hive has become large and is causing damage in the roof area. 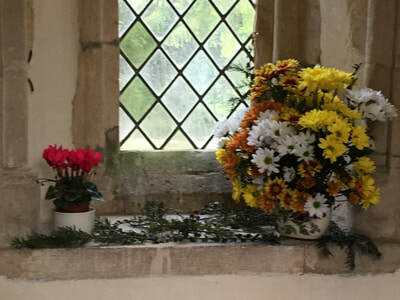 Unfortunately it is not easy to access, and we will need to have a professional bee removal company to carry out the work. We also intend to move forwards with plans for a servery and toilet in the church, making it more user-friendly. We shall need to carry on with our fundraising programme and are currently planning a programme of events. 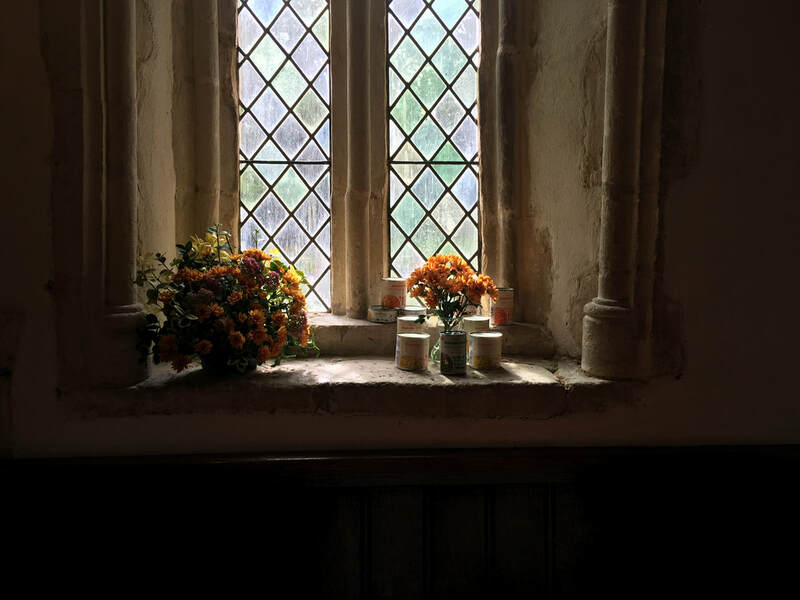 We hope you will continue to support us so that our church can continue to support our community. 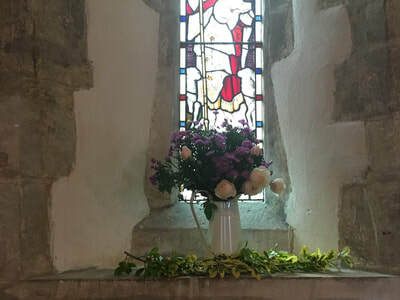 On 11 November 2018, bells rang out from churches and cathedrals in villages, towns and cities across the country to mark the centenary the Armistice. 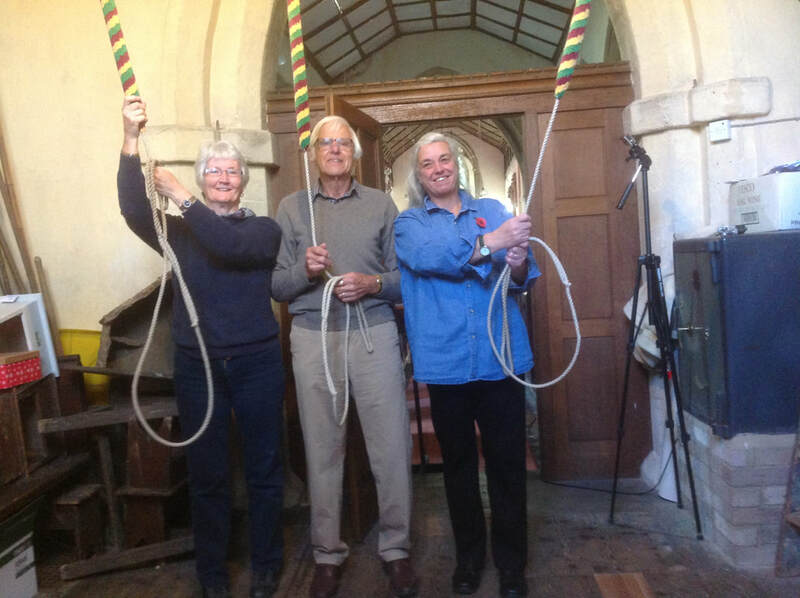 Piddington’s bell ringers, Tony Pearce (Tower Captain), Cheryl Coggins and Morwen Ashton, joined in by ringing the bells in St Nicholas Church from 12.30pm. 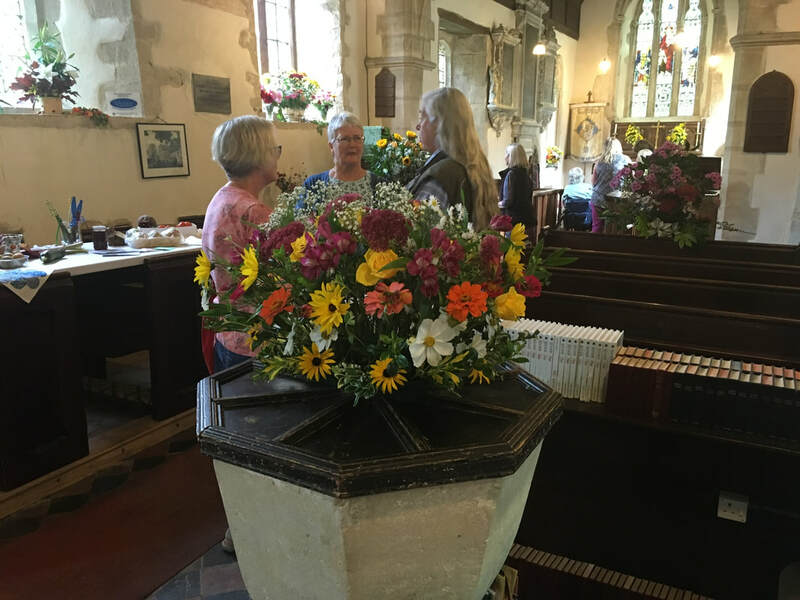 You can see a video of them ringing here. 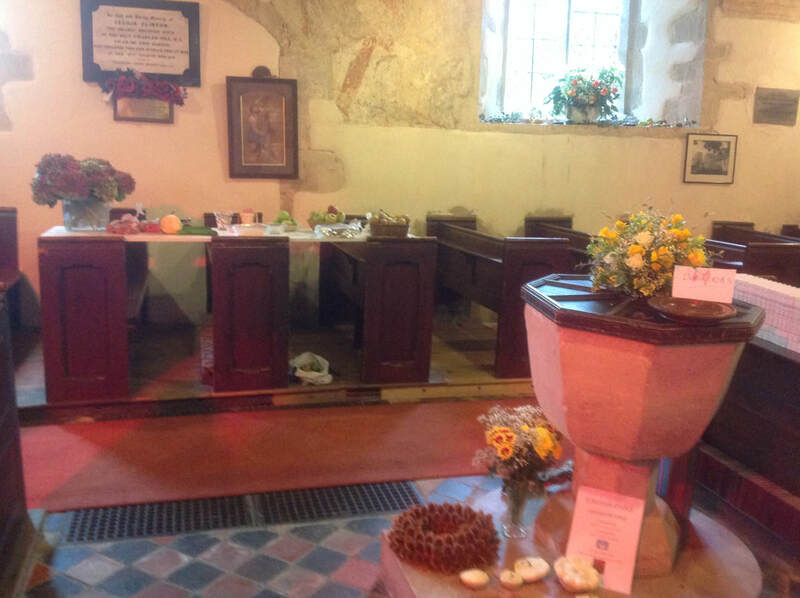 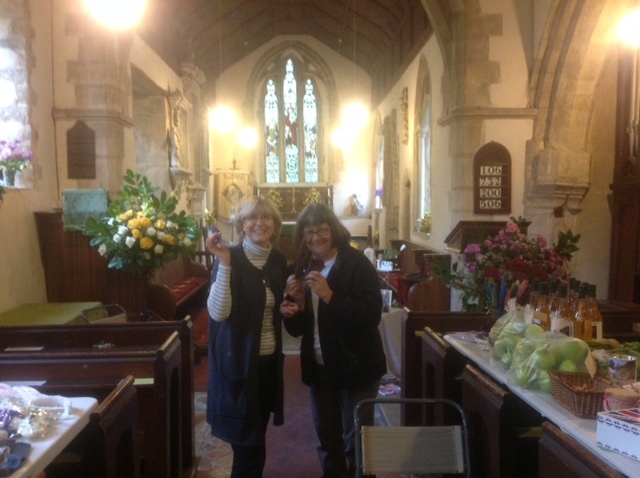 The Harvest Coffee Morning and produce sale was a great opportunity for visitors to see St. Nicholas Church beautifully decorated for the Harvest season. 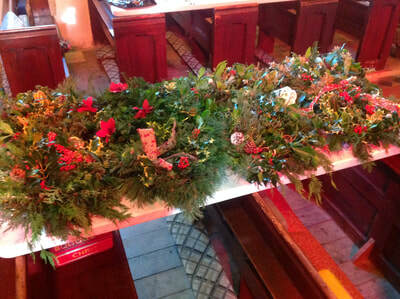 Many thanks to all who helped decorate the church. A collection of groceries and produce was collected and has been passed to the Bicester Food Bank. 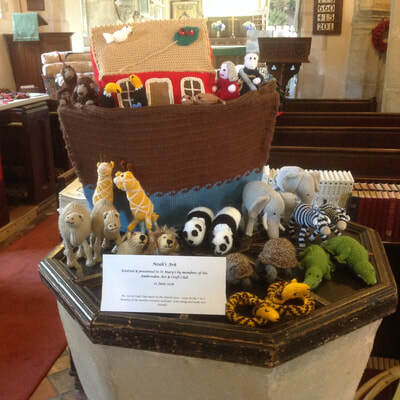 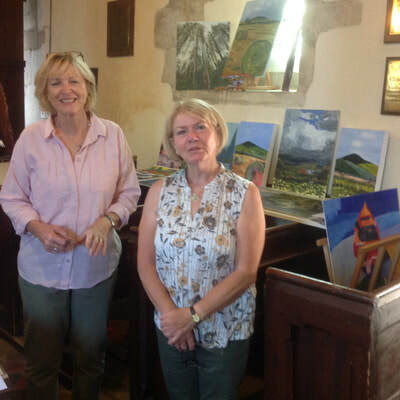 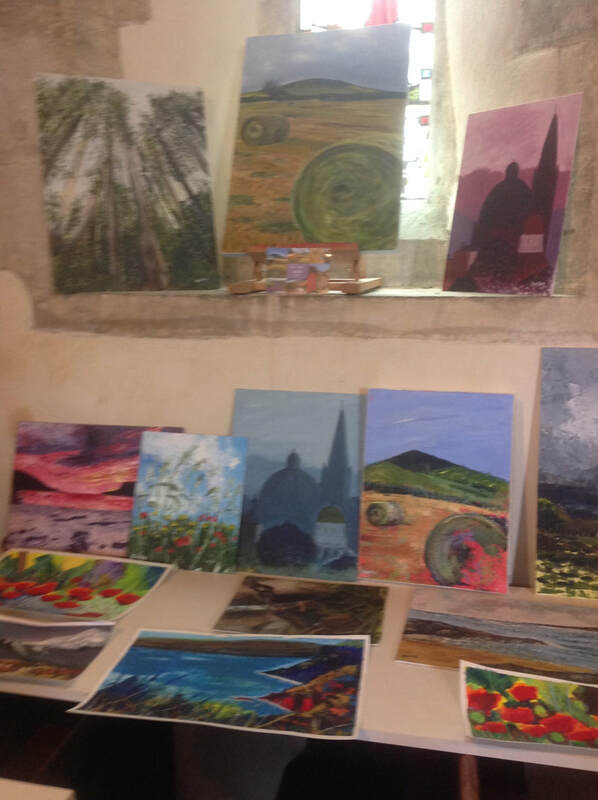 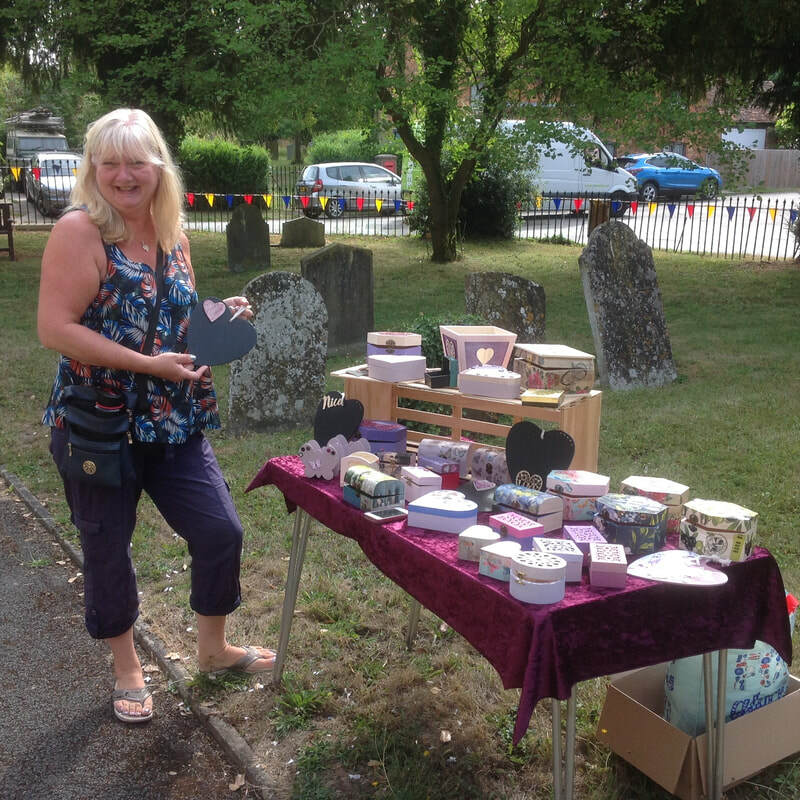 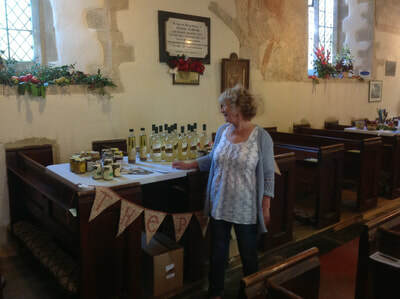 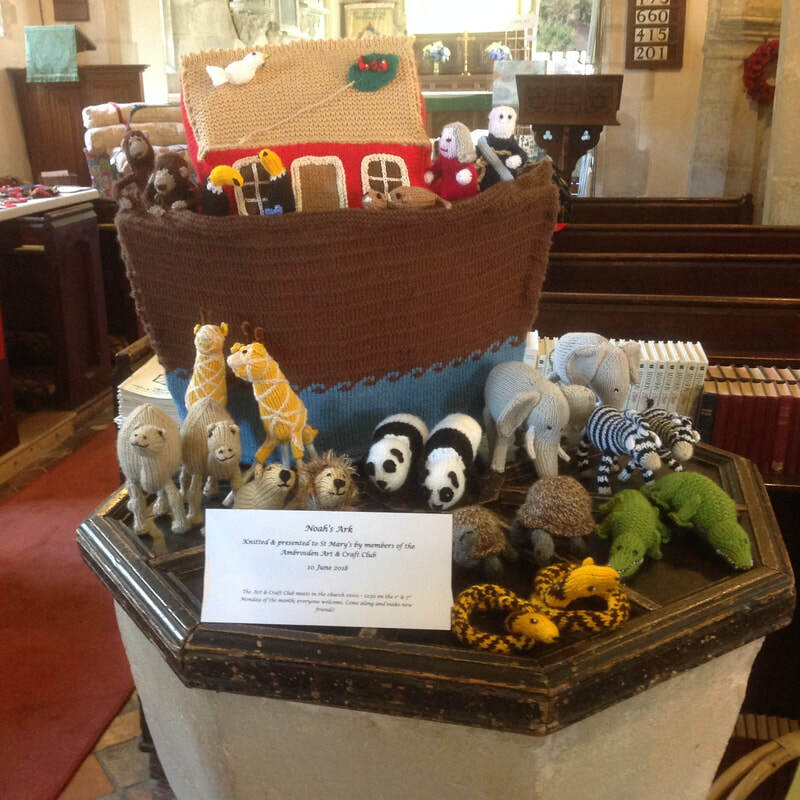 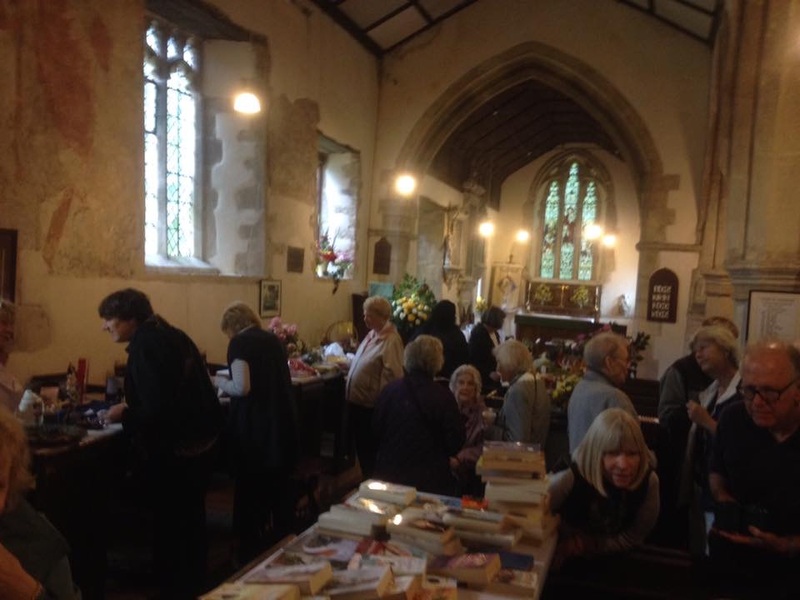 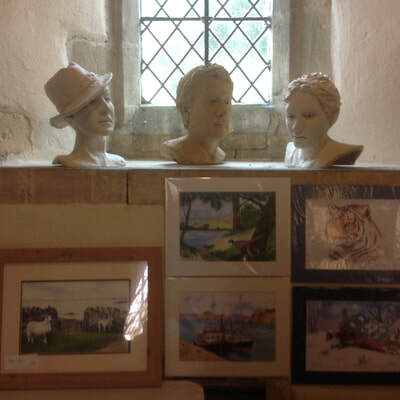 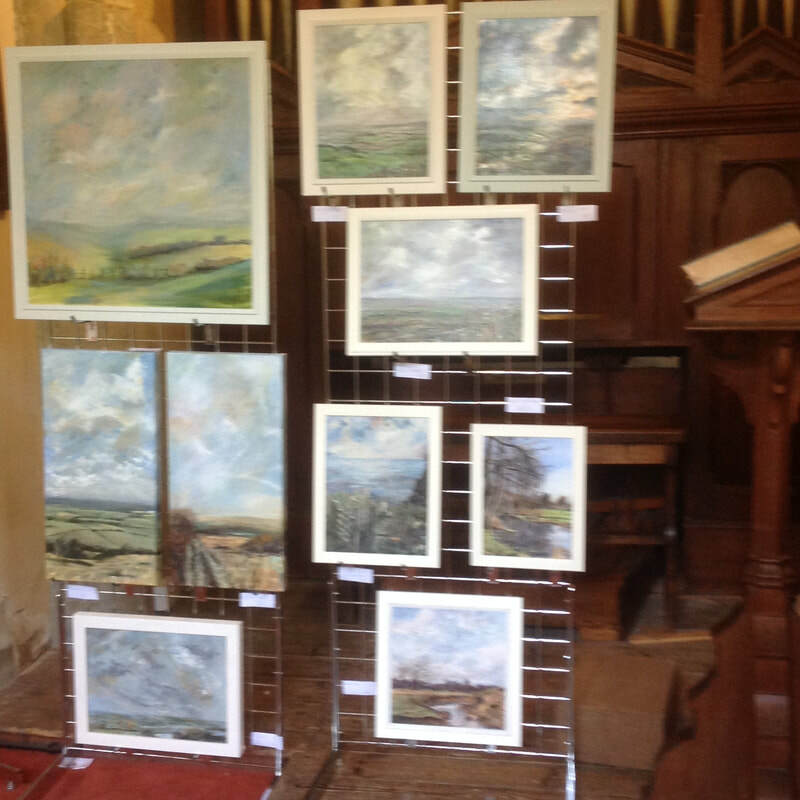 An Arts & Crafts Exhibition held in Piddington Church on 4th August was a popular event. Clearly there is much local creative talent and it was good to see such a wide range of artwork and crafts from within our community. Members of the Piddington Craft and Social Group joined in displaying crafts they have worked on since the group formed last autumn, along with many other local artists, crafters and sculptors. 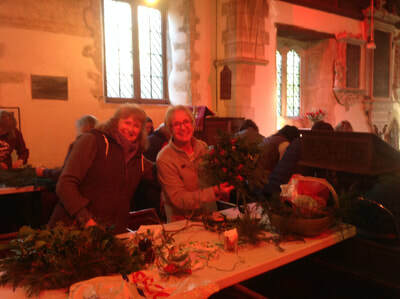 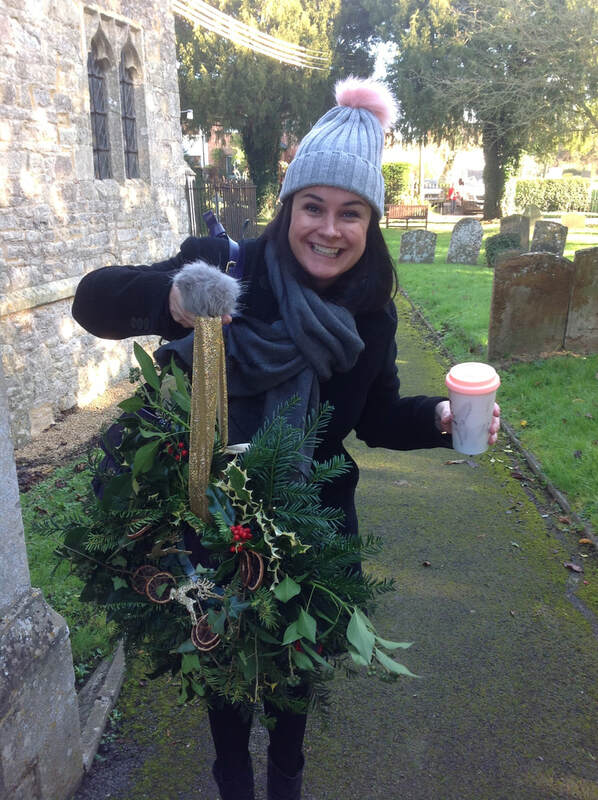 The wreath making in the church was great fun. 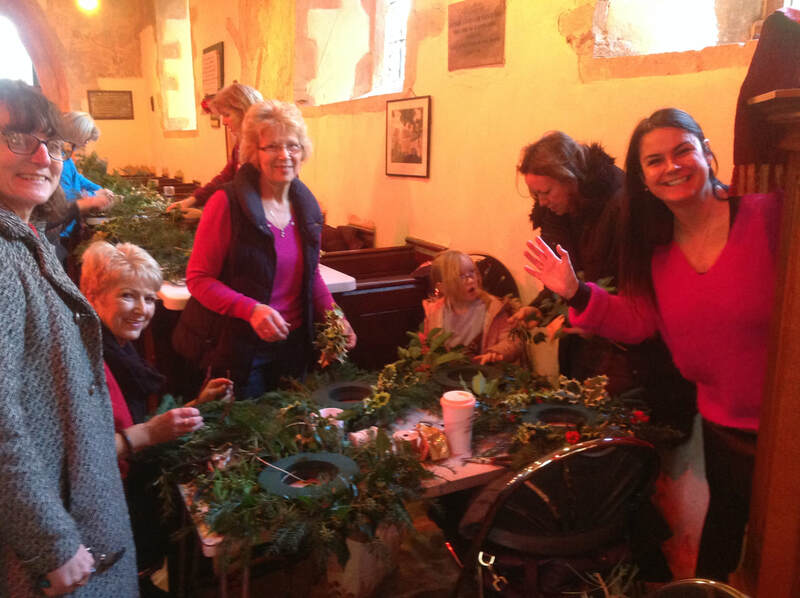 About two dozen people came along to create their own beautiful Christmas wreaths and enjoy mulled wine, mince pies and coffee. 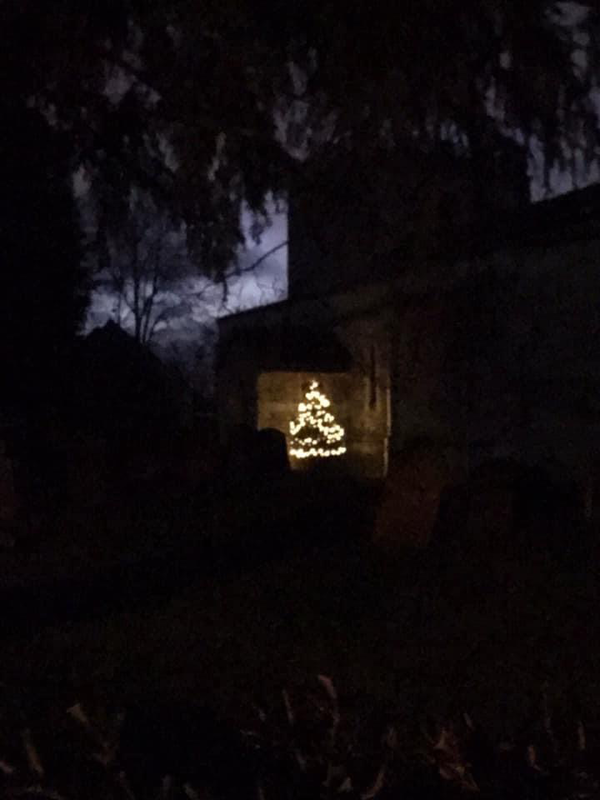 We will definitely do this again next year. A Bingo evening was held on 11th November, the profits from which were split between St. Nicholas' Church and a children's project in Nepal. 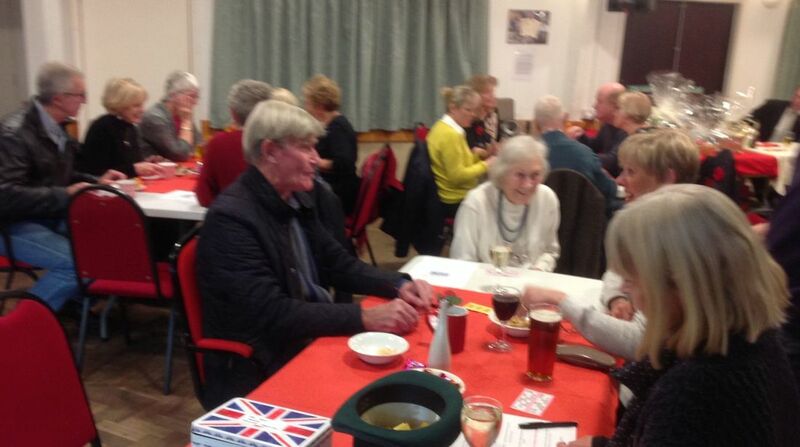 The evening was great fun and thoroughly enjoyed by all. 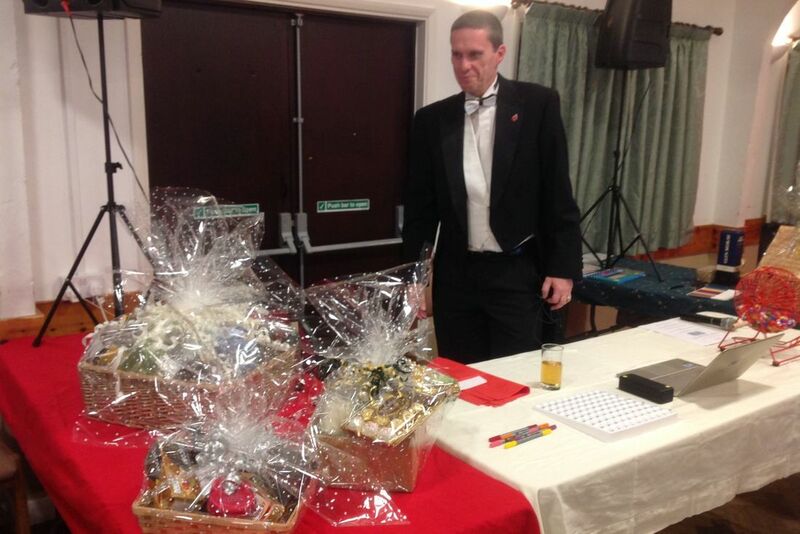 Grateful thanks go to Al and Bev Hopkins, who put a great deal of effort into organizing the evening and arranged for some amazing prizes. 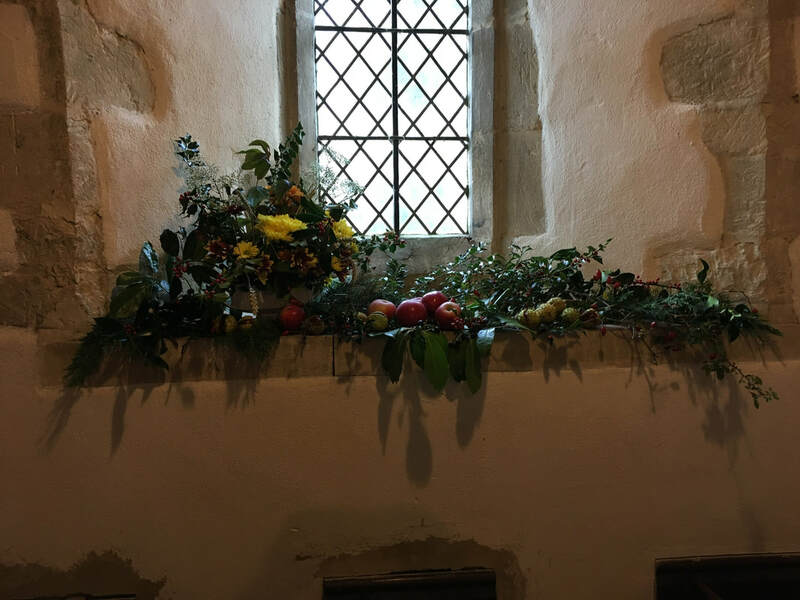 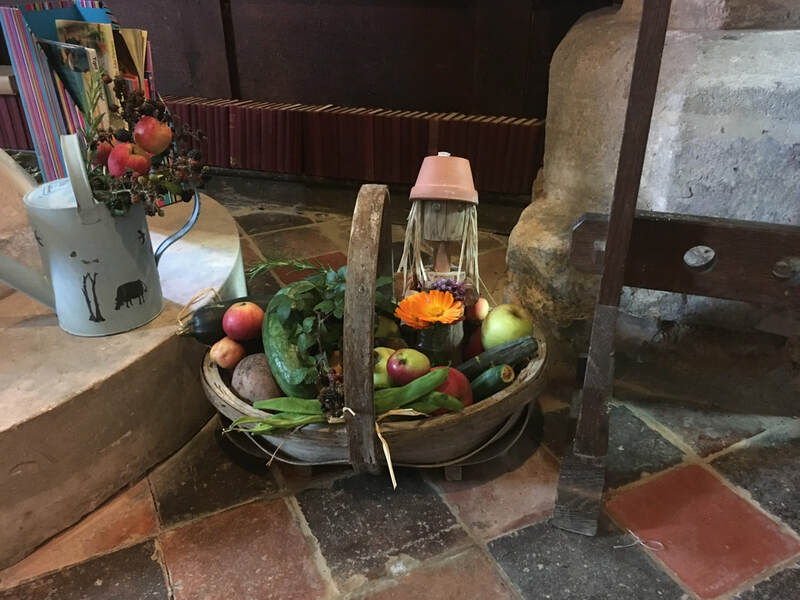 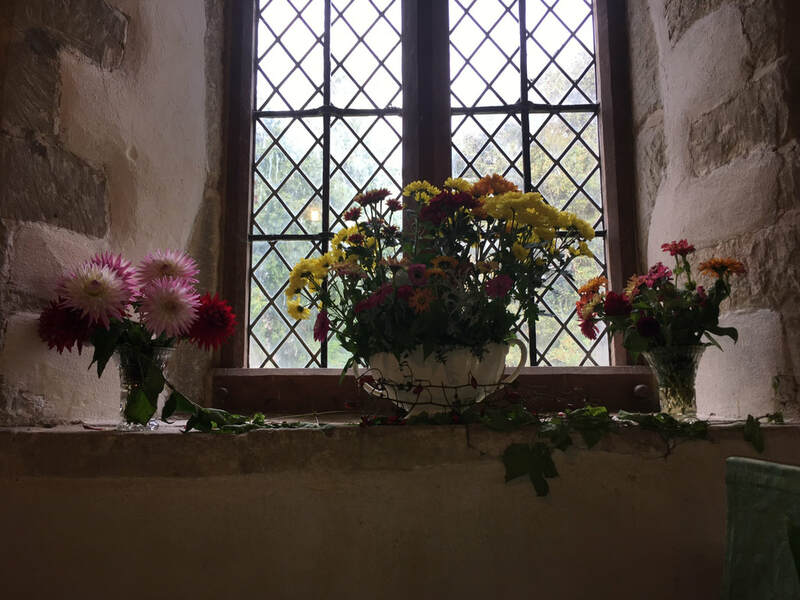 The Harvest Festival Weekend was greatly enjoyed by those who visited St. Nicholas Church which was beautifully decorated in all the wonderful autumn colours. 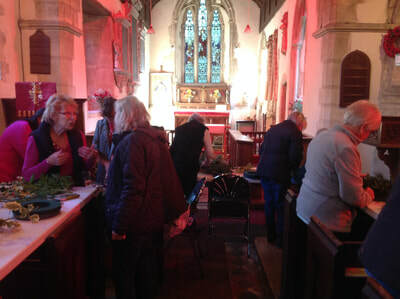 Both the coffee morning and produce sale and the Sunday service were well supported and were joyful occasions to come together in our beautiful church. 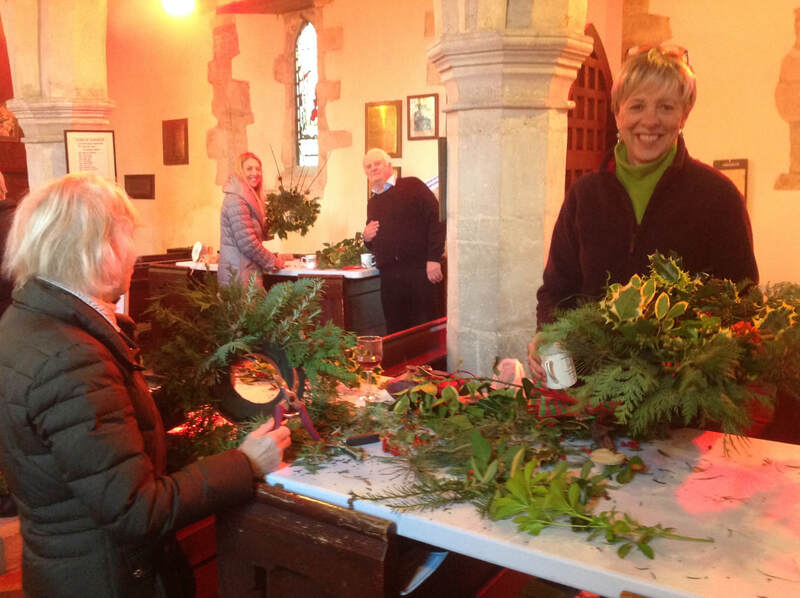 Many thanks to all who helped decorate the church and helped over the weekend. 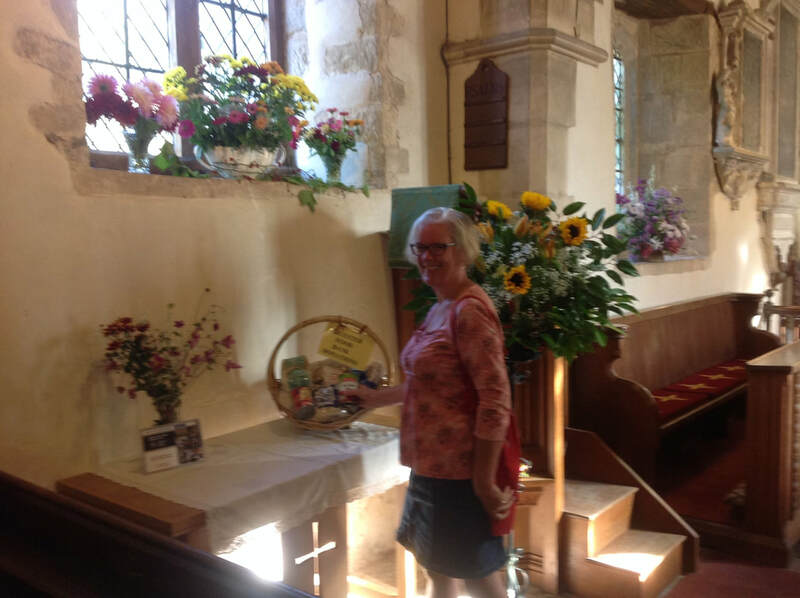 A large collection of groceries and produce was collected and has been passed to the Bicester Food Bank. 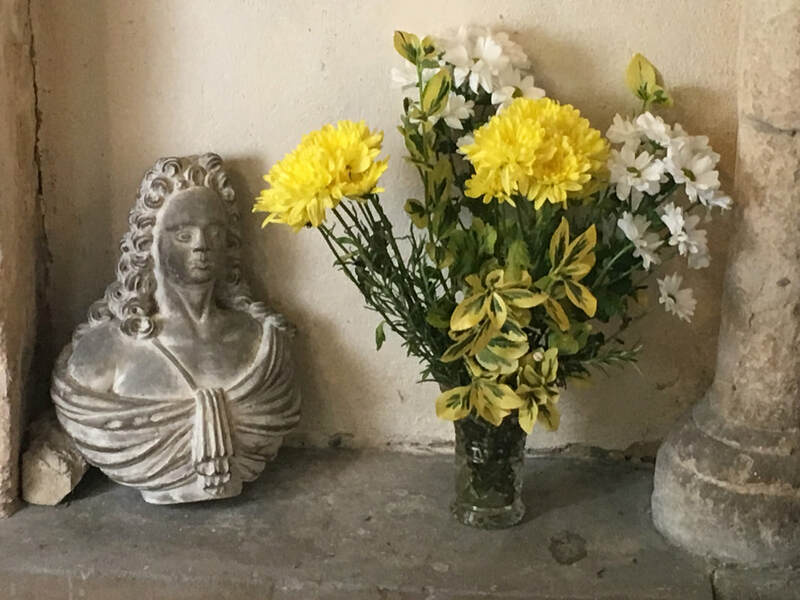 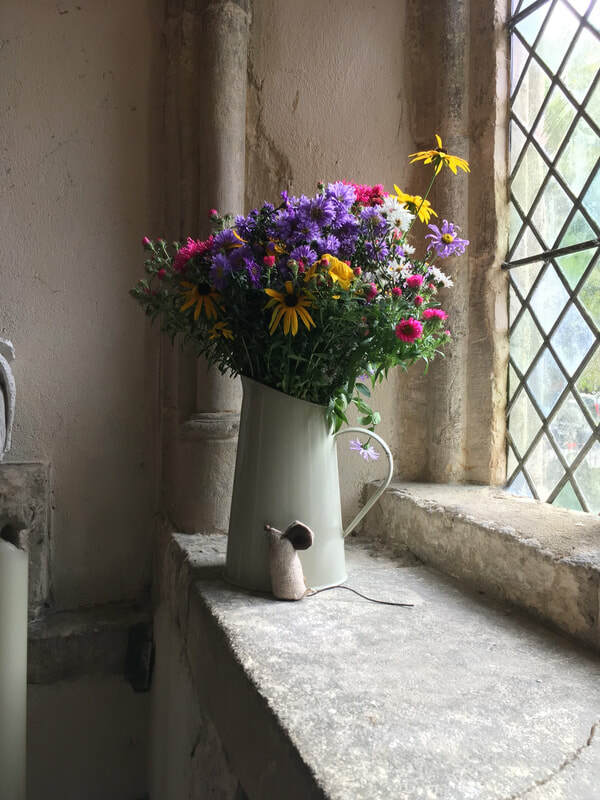 We are also celebrating the near completion of the repairs to the church and are particularly grateful to all who have helped raise the funds for these repairs together with funding from Viridor, Oxfordshire Historic Churches Trust and The Churches Trust. Without this valued support we would have been unable to carry out the repairs. The first Coffee Morning & Table Top Sale held in St Nicholas Church on 4 March was a great success. 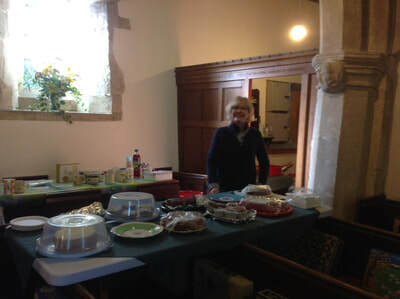 Thanks are due to everyone who helped organise and run the event, from putting up bunting and setting up the tables to serving the endless coffees, teas and mountains of homemade cakes. 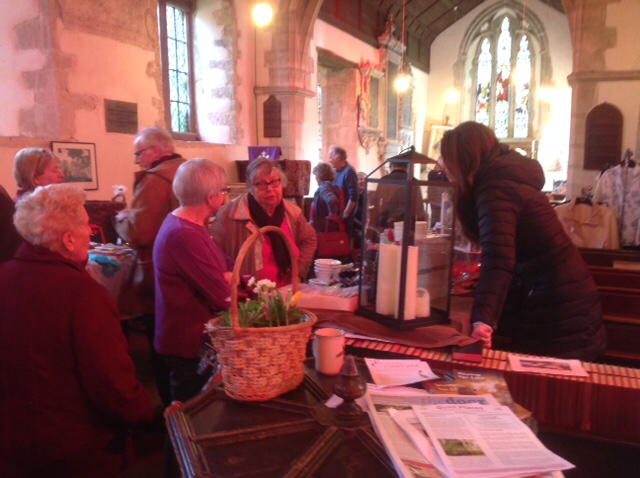 Thanks too to everyone who took a table - there were lots of bargains and plenty of chat. We are a small group of people who have for several years met a few times a year to discuss ideas on how to raise money for the upkeep of St Nicholas Church. Some of us are also on the PCC. 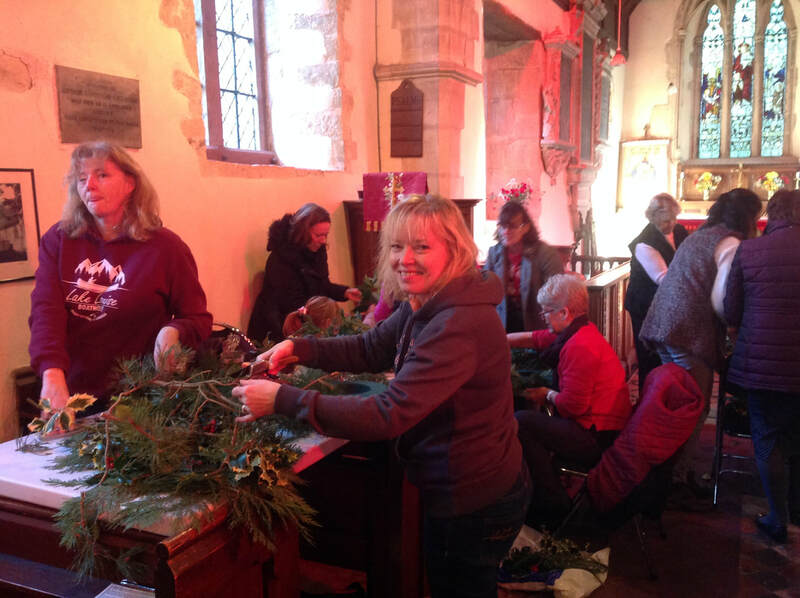 We all work together to maintain everything. At the moment some of us are busy sending off for various grants for our more urgent repairs whilst the others are busy planning events we can offer in the Church this year. 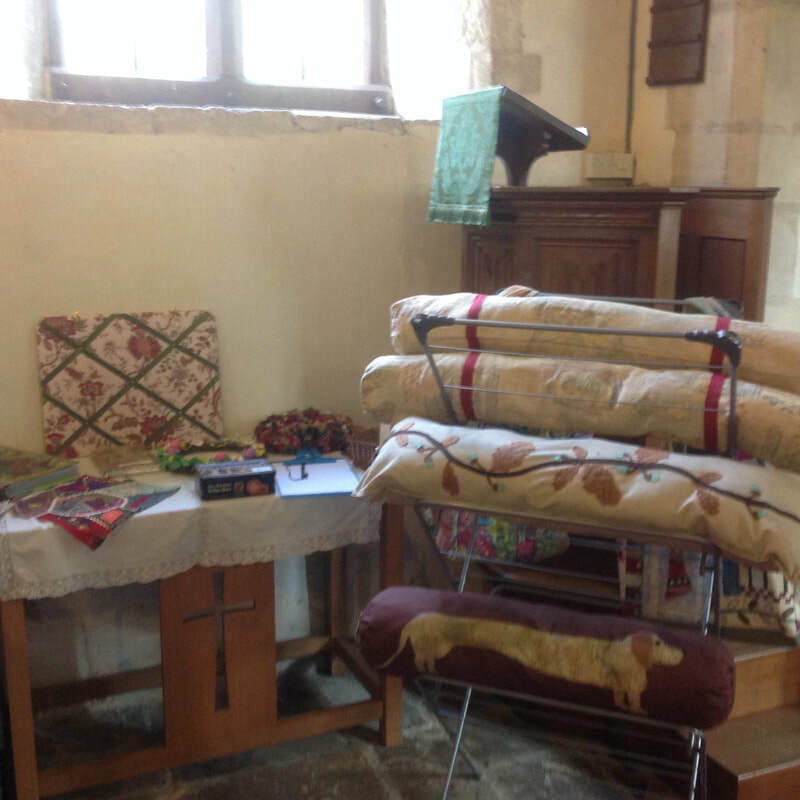 We are very restricted due to the lack of a kitchen and toilet. It is hoped that eventually we will have better facilities but meanwhile please try to support us by coming along to one of our new ventures, a coffee morning and tabletop sale and a concert by the Miltary Wives Choir. 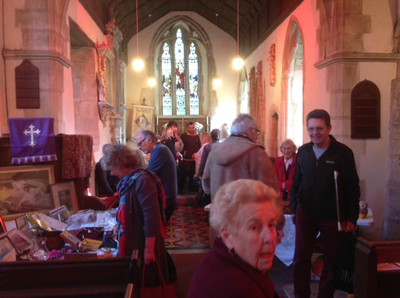 The 2016 Harvest Festival weekend was much enjoyed by the many people who visited St. Nicholas Church. The church was beautifully decorated in all the wonderful Autumn colours. Both the Saturday coffee morning and the Harvest Festival Sunday Service were well supported and were wonderful occasions to come together in our beautiful church to celebrate harvest. Many thanks to all who helped with decorating the church and to all who helped over the weekend. 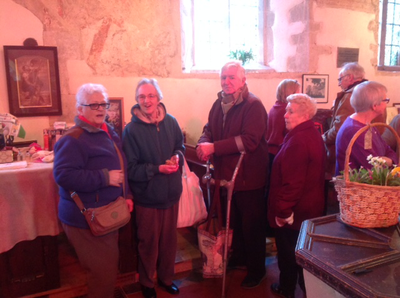 A large collection of groceries and produce was received and will be passed on to the Bicester Food Bank. 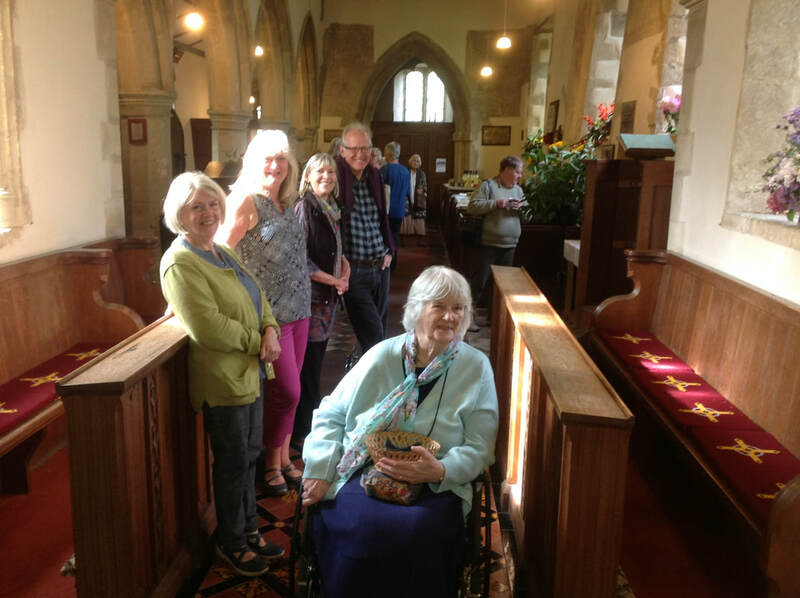 If you heard the church bells ringing on Friday 3rd June 2016, it was because we took part in the BBC's Music Day. 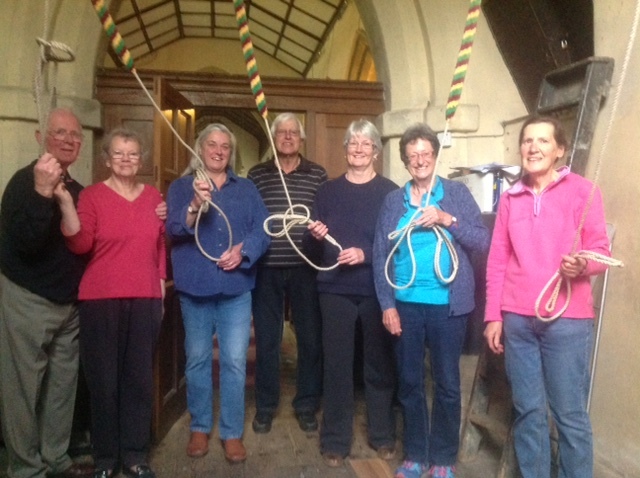 The Piddington bellringing team is (left to right): Chris Taylor, Wendy Taylor, Morwen Ashton, Tony Pearce (captain), Cheryl Coggins, Pam Newell and Rachel Pennington. 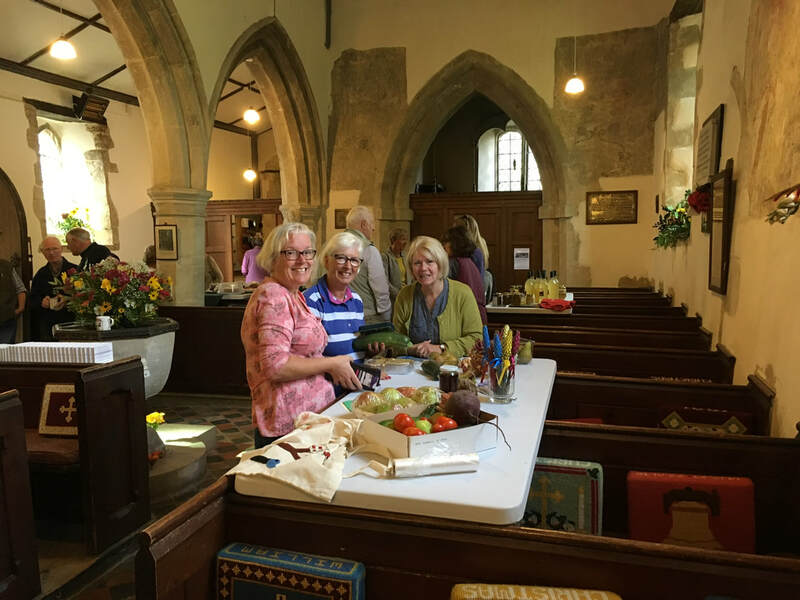 We welcome new members, and anyone interested in taking part can telephone Tony on 01844 237688 for further information. 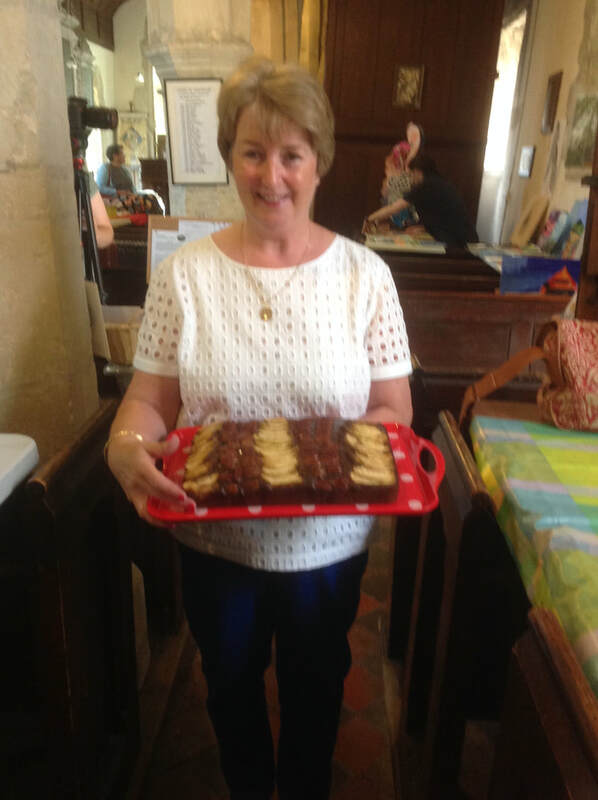 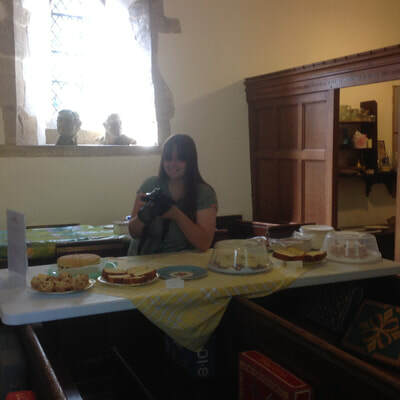 As well as supporting fundraising events, such as the recent concert in the church, you can help raise money for the ongoing repair and maintenance of St Nicholas's Church by buying a cake from the Piddington Bakers regular stall at The Pantry. St Nicholas's Church in Piddington is featured in a fascinating website showing the interiors of many Oxfordshire churches in 360-degree panoramas. 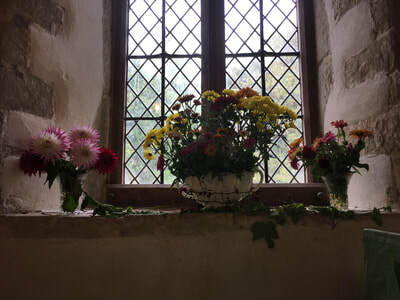 You can see the panoramic view here. Here is how the photographer, Nikhilesh Haval, explains the project. 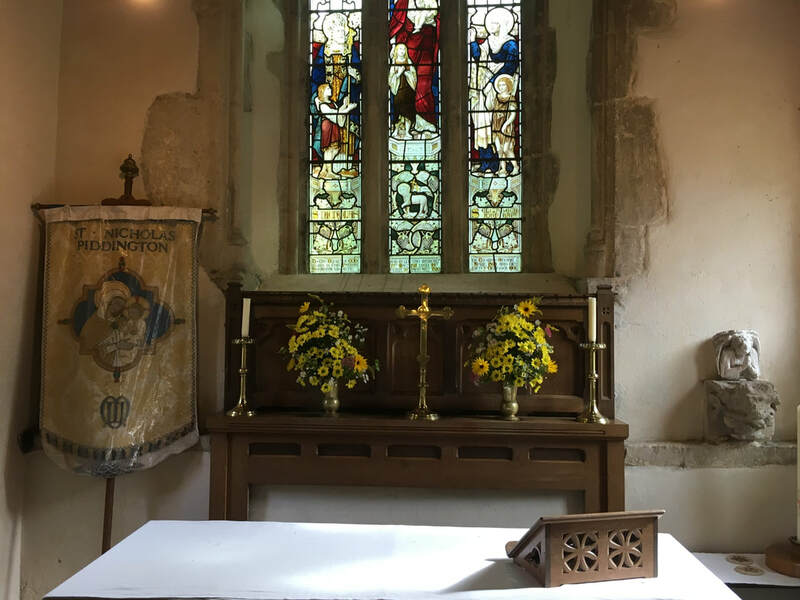 As a hobby and to practise my photography skills, I have been photographing the interiors of Oxfordshire churches in 360 panoramas for the past 2 years. 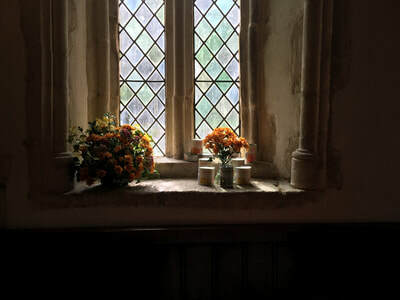 Where possible, I have sought permission to do so, but it has not always been possible. 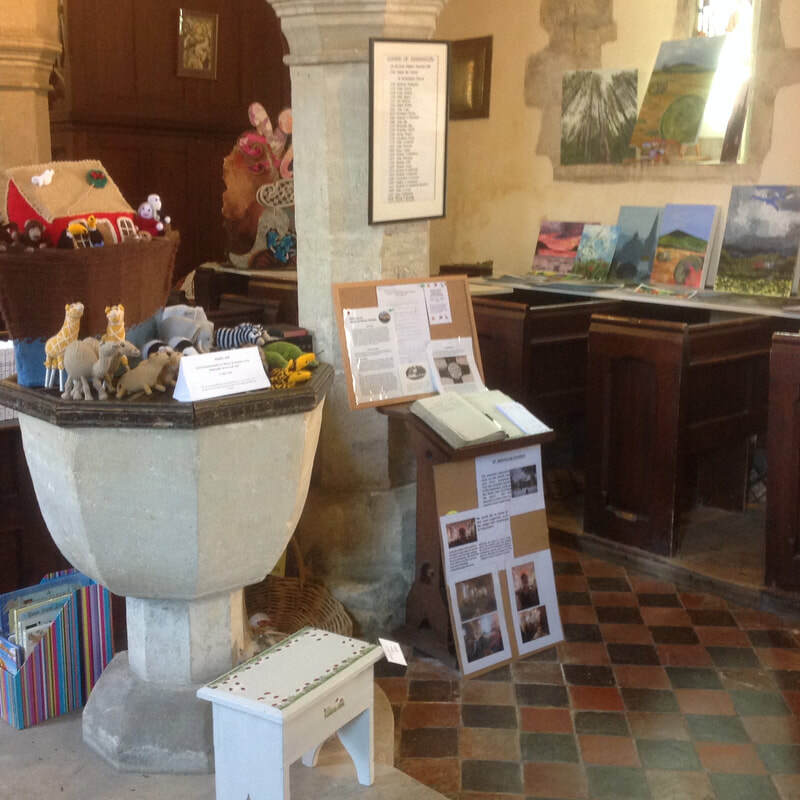 As my collection grew I realised I could use the imagery to increase awareness of the historic churches, so I have collected all the information and produced a website that shows all the panoramas on a easy to use Oxfordshire map: http://oxfordshirechurches.in360degrees.co.uk . 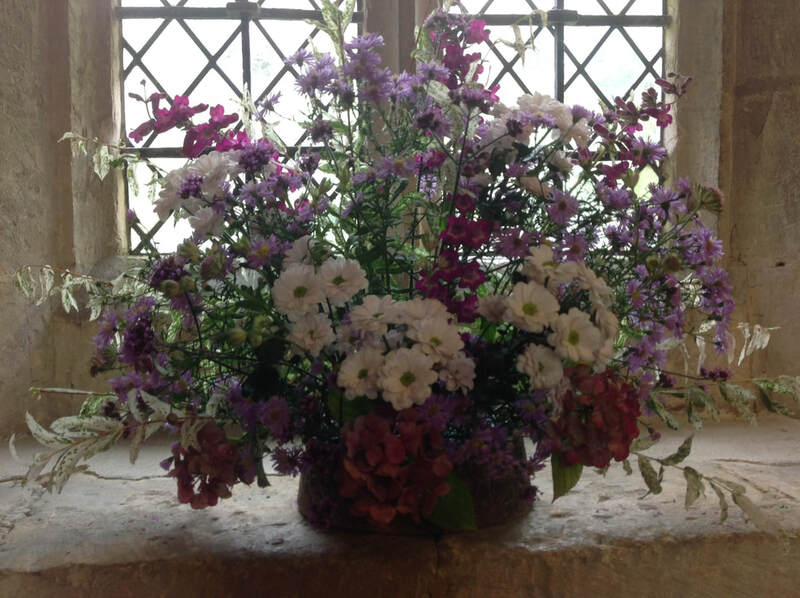 The idea behind this is for people who are going to get married to share the venue with far away friends and families. 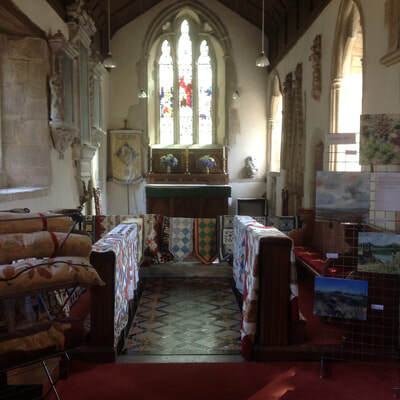 The idea is also to promote the variety and magnificence of the rich architectural heritage that these churches hold. The site is free for everyone to use.